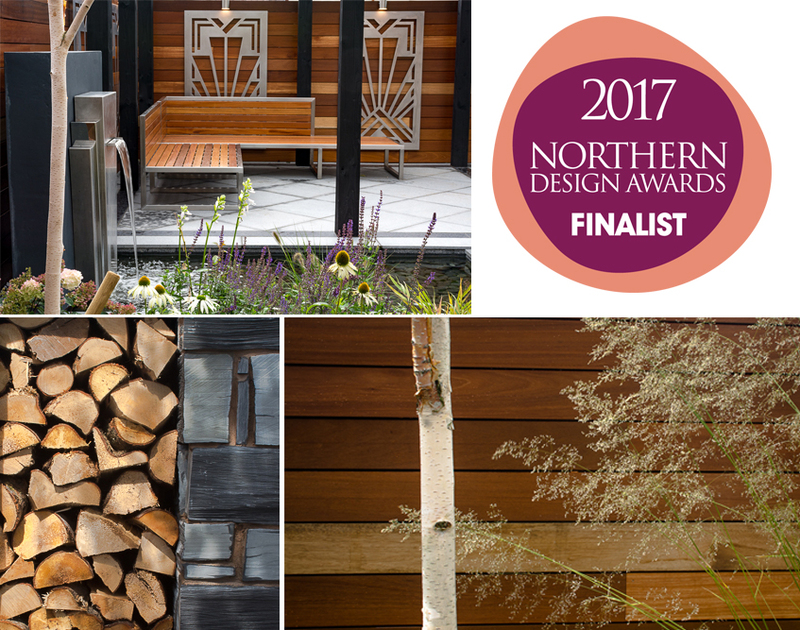 Just recently my Art deco inspired garden in Cheshire was selected as a finalist in the Domestic Landscapes category and it will soon be featured in the Pro landscaper Manchester supplement so I thought I'd do a little write up and give a little background information on the garden including the brief, the journey and the products selected and challenges faced. Having the luxury of two private gardens and being able to dedicate the other garden for the children, the clients wanted to create a contemporary, urban garden garden for themselves to enjoy. They wanted a space with a ‘wow’ factor with bold lines and an industrial feel. At the same time the garden needed to be inviting with a relaxed atmosphere, a space that was modern but not too stark or clinical. It was during the initial consultation that the designer picked up on the 30’s style architecture of the property and somewhat Art deco influence of the sitting room decor which backs onto the garden and suggested using the classic design style as inspiration for the garden. The planting brief was to create interest and warmth using texture but to be unfussy in colour with subtle splashes of white and purple tones. The client made it very clear from the initial stages that they wanted to allow the designer every freedom to create a garden which wasn’t too influenced by their suggestions, instead allowed to develop naturally. Having such freedoms during the design stage allowed the garden to remain balanced. Although in essence it is a contemporary garden, having a theme as complimentary as Art Deco made the design process fun and interesting. The garden subtly demonstrates some of the patterns found in Art Deco architecture, art, interior and furniture design, such as the paving border and the custom designed water feature and wall hung screens. As the existing garden was quite small, featureless and flat and views out to the space were limited the clients required height interest to bring the garden to life. A wood store was also needed. In response to this the idea of the screens and the pergola were introduced however they only provided a framing around the striking white stems of the Himalayan Birch. Once decided on the masterplan a local contractor and friend of the client, Graeme Neald was brought in to translate the plan. Despite on the exterior this being a simple garden of formal lines, getting the lines to a match precisely was a challenge. The majority of the build ran very smoothly with good weather throughout, also the benefit of being next to the road helped as materials could be craned over the wall. On completion of the garden the client wanted a sofa to match and commissioned me to create one which tied in with the gardens materials. The majority of the materials were all sourced from local suppliers to the North West. The granite paving, slate walling and pebbles were sourced from Landscape World, Widnes. The Yellow Balau fencing was sourced from Whitmores Timber, Winsford. Stockport Metal Fabricators created the bespoke metalwork according to the detailed custom designs. All the plants and trees were sourced and supplied by Ladybrook Nurseries, Bramhall.